Our development team now have the mechanics in place to automatically task an officer through our records management system, Niche. This piece of work was triggered by an online form completed by a member of the public and presents a number of opportunities to further reduce the need to call 101. For example, we are currently putting the finishing touches to a form for members of the public to be able to update an existing crime online. This data will go straight into Niche and automatically task an officer with an update. This should cut a significant number of calls to 101 and offers a better, simpler, public experience than previously offered by TrackMyCrime. Further updates will be shared in coming months. This form allows officers to request evidence from the public as part of an active incident or investigation. Digital collection of evidence means officers do not need to physically pick-up data stored on hardware such as USB sticks. Our online shoplifting reports broke through the 50% mark during March; at one point we saw 57% of all shoplifting being reported online. Launched in June 2017, the form allows members of the public to report suspected shoplifting that has taken place in a store. Working with HR we piloted a new online application for police staff positions. This means applicants can apply online for our Multi-Agency Public Protection Arrangements (MAPPA) Admin Officer position. Launching late March, the pilot has gone well with 19 applications so far at the time of writing. Public feedback has also been positive with one applicant stating that the form was “very easy to complete and very efficient”. We will be looking to expand this to all police staff applications shortly. Each month we monitor the general enquiry form to see what types of queries come in. 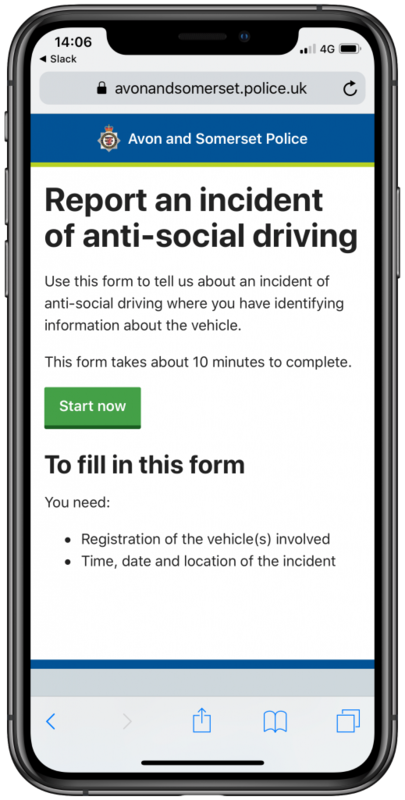 Over recent months it has become clear users were using this form to report various types of anti-social behaviour, including anti-social driving. Report an incident of anti-social driving: This form is used when members of the public have the registration plate of the vehicle/s involved and video evidence of the incident. The information submitted is assigned by Enquiry Office staff to the local beat team. Provide information about an incident of anti-social driving: The second form is shown to members of the public who either do not have video evidence or do not have the full registration of the vehicle. This information goes directly into our tracking software, Qlik, where officers can monitor trends such as location, times and vehicles. Now live, both forms can be accessed via the anti-social driving page, with members of the public being triaged to the most appropriate form dependent on their needs. 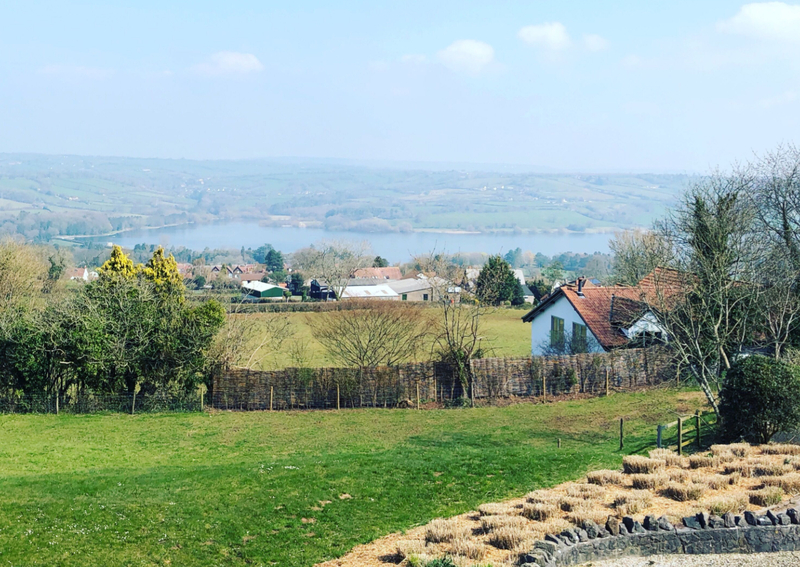 We were invited by colleagues in Corporate Communications to share our thoughts and experiences on modern agile methods and how to put them into practice. 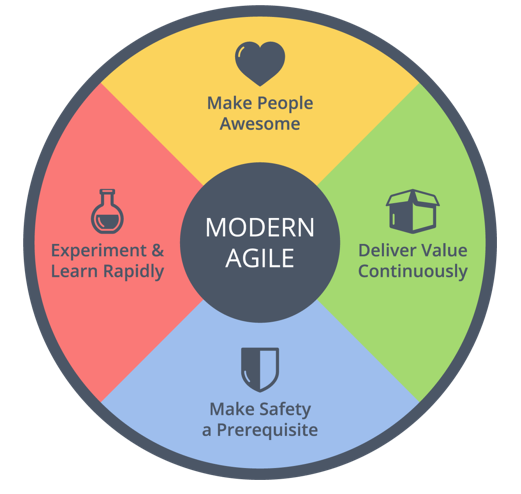 We discussed the core principles of agile methodologies: “making people awesome”, “delivering value continuously”, “making safety a prerequisite”, and experimenting and learning rapidly. The team also looked at tools and techniques for collaboration, prioritisation and information sharing.